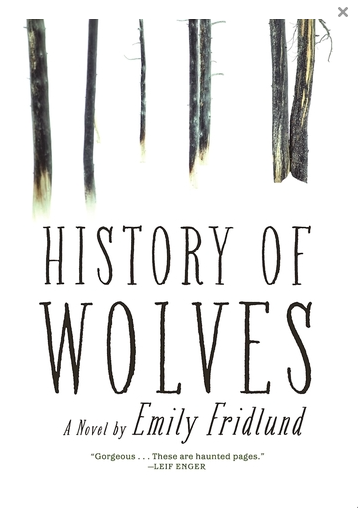 I was consumed by History of Wolves, Emily Fridlund’s first novel. It’s a coming of age novel, set in the woods and lakes of northern Minnesota, whose pages are filled with a growing ominous tone. The story is told from Linda’s point of view, a lonely teenager living with her parents, the last two members of a local cult community. Linda’s father is a benevolent silent presence while her mom flits between the local houses of worship, just to cover her bases. Linda essentially raises herself, most closely tied to the family’s four hound dogs. After walking miles through the snow home from school, barely noticed by her parents, Linda prowls the woods, alone, at one with nature. She watches the world around her, like a lone wolf. The lake in front of Linda’s home is uninhabited, until a group of college builders erect a cabin. Soon a young family moves in, a couple with their toddler son and two cats. The man leaves and the mother and child remain behind. Linda spies on them with binoculars, noting their rituals, their intimacy, the mother’s tenderness. Then, one day in the woods, Linda runs into the mother and child. They invite her home with them and she becomes the child’s babysitter, until the disaster promised from the first page finally comes to pass. History of Wolves is a beautifully-written story whose unavoidable conclusion leaves the reader pondering traditional notions of guilt, society, parenting responsibilities, and religion. These are all weighty themes, but what stayed with me even more were Fridlund’s descriptions of the canoe’s prow soundlessly piercing the surface of the lake at dawn as a loon calls mournfully in the distance. History of Wolves is currently in hardcover. 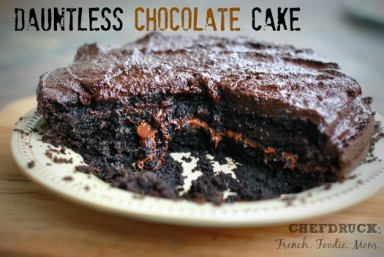 It was reviewed on NPR by Michael Schaub who loved it and by Jennifer Senior at the New York Times who was underwhelmed.